The Family Educational Rights and Privacy Act of 1974 (FERPA), as amended, provides notice to students of the rights and restrictions placed upon the maintenance, inspection and release of student records. This notice is published annually in the Undergraduate Catalog, and the University Handbook for Students. The University is composed of five colleges and offers a wide variety of services to students. Although the Office of the Registrar serves as primary custodian of student records, each of the five colleges, and numerous University services also maintain some records concerning students. The location and type of record maintained by the University depends upon the field of study or service in which the student is enrolled. The Family Educational Rights and Privacy Act of 1974, as amended, is a Federal law that protects the privacy of student education records. FERPA governs access to and the release of information from those records. FERPA is also known as the Buckley Amendment. An education record is defined as any record that directly identifies a student and is maintained by the institution or educational agency or by a party acting for the institution or educational agency. Education records can exist in any medium including the following: handwritten, typed, computer generated, videotape, audiotape, film, microfilm, microfiche, e-mail, and others. Student directory information is specific to a student, however, FERPA regulations deem that this information is not harmful to the individual if it is released to the public. Therefore, information classified as "directory information" may be released by the University without the student's consent. Students who do not want their directory information released without their consent must contact the EKU Registrar's Office to initiate the process. The Registrar will require the student to sign a consent form and produce proof of identity. 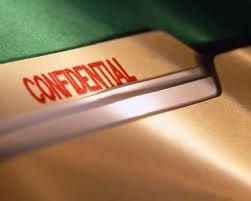 A confidentiality flag will then be placed on the student's record. Students should note that a confidentiality flag will also prevent automatic enrollment verification. Once a student has requested a confidentiality flag they can only receive enrollment verification by making the request in writing, with proof of identity. The confidentiality flag will remain in effect until the student contacts the Registrar's Office and formally revokes it in writing. Letters of inquiry about confidentiality of directory information should be sent to the Office of the Registrar, Academic Records Unit, Eastern Kentucky University, SSB CPO 58, 521 Lancaster Avenue, Richmond, KY 40475-3158. Letters must include EKU ID number and a current phone contact. Right to inspect and review their educational record within 45 days of a written request. Right to request to amend inaccurate or misleading data within an educational record. Right to consent to disclosure of personally identifiable information contained in an educational record. Right to file a complaint with the U.S. Department of Education concerning alleged failures by the University to comply with FERPA. View the text-intensive powerpoint presentation. View and listen to a FERPA tutorial (podcast). See pages 2-4 (PDF file) of the EKU Undergraduate catalog.